"Delicious deals right in your email. https://subscribe.mainstreethub.com/email/c4f19e17-27a9-463e-9b4c-b1f5d8ab15b7"
"This tasty delight will make your night. #BICE #Orlando #finedining #italiano #portofinobayhotel #explore #dulce #travelgram"
"We'd like to know which of our dishes you've tried. #BICE #Orlando #finedining #italiano #portofinobayhotel #explore #travelgram #dinner"
"Eat a meal that’s as delicious as it is photogenic. 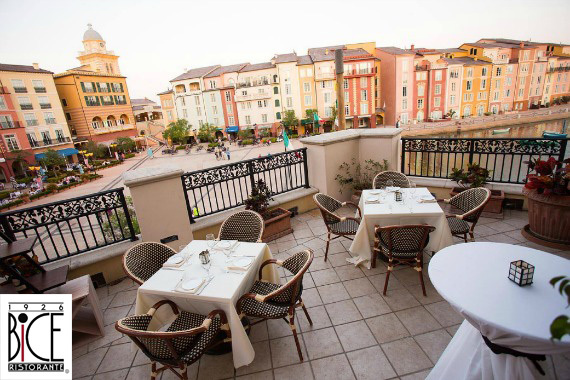 #BICE #Orlando #finedining #italiano #portofinobayhotel "
A very nice alfresco Italian dinner with a good wine list, menu choice for the family overlooking the lake and Portofino look alike hotel. Yes, I'd like to receive news from BiCE Ristorante - Orlando. Sign up for the BiCE Ristorante - Orlando Newsletter!